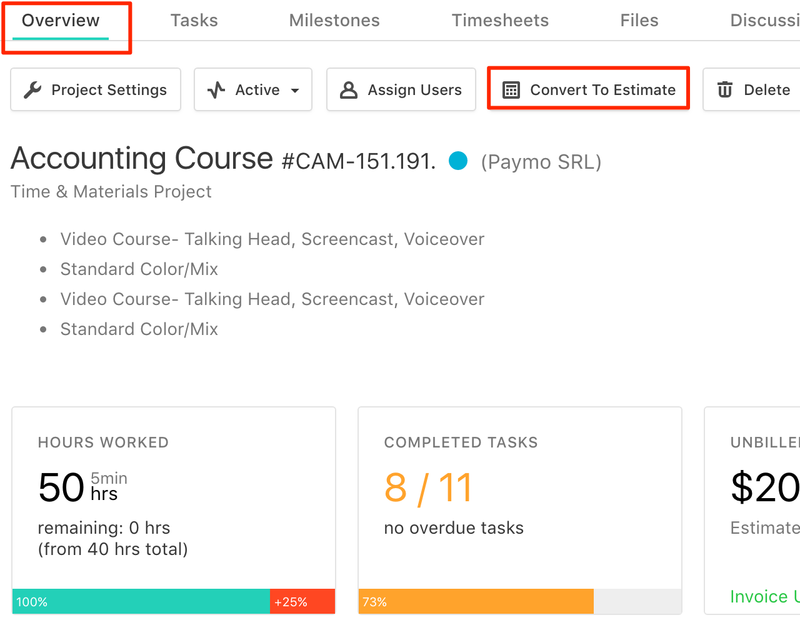 In Paymo, you can easily convert projects into estimates or create a new estimate based on the existing project data. The best workflow for creating new estimates is to start from a temporary project. Add time estimates & costs, then convert the temporary project into an estimate that you can send to your client for approval. This type of estimate can include the project description as well, so clients get a better understanding on what the project consists of. Once it's approved, you can change the project status and get to work. You can also create estimates by adding items manually, cloning previous estimates or based on your existing projects. 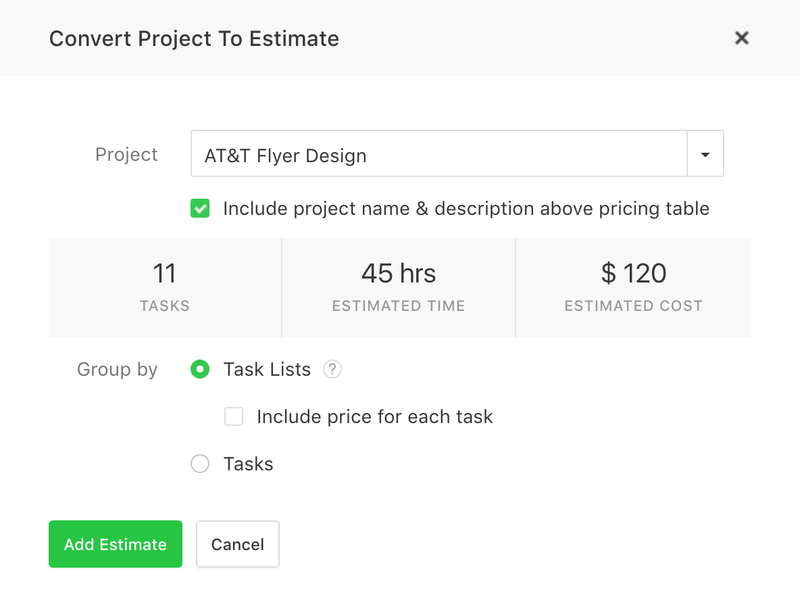 For the later you need to go to Accounting → Estimates → + Estimate → click on Create from project and select the desired project you want to base your estimate on. There you can select to include the project name and description above the estimate title, as well as group the items by task lists or by tasks. The group by option is disabled for flat rate projects. Flat rate projects will have 1 item for each project.